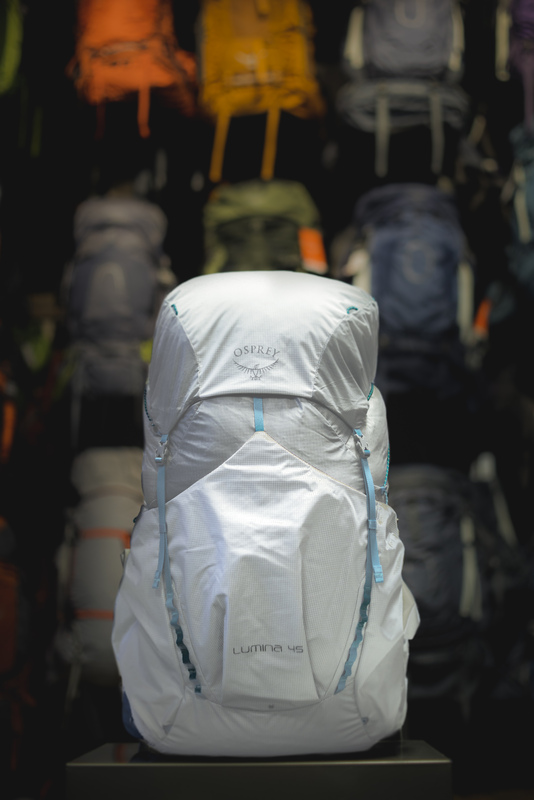 In the ounce-counting realm of ultralight backpacking, the lightest pack wins. Not that backpacking is a competitive sport. But if it were, Pete Vogt, AKA “Five Pound Pete,” would leave his competition in the dust. As his trail name implies, Vogt hikes light– really light. 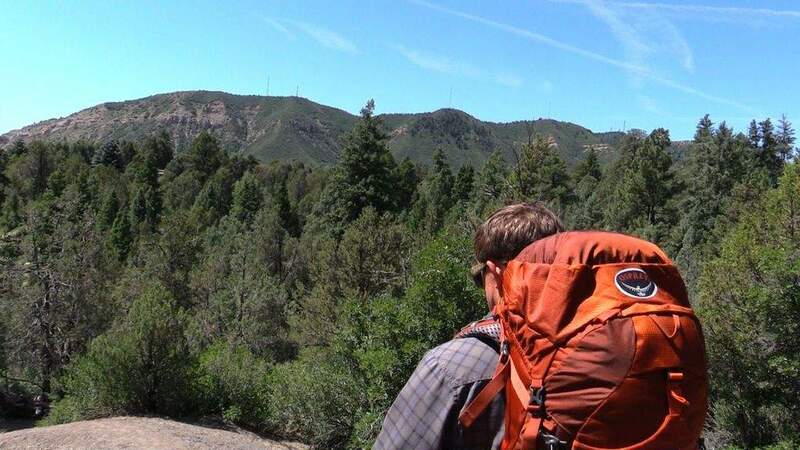 In fact, he hiked the entire 486-mile Colorado Trail with a five pound backpacking kit. With food and water, his entire pack weighed just 12 pounds. To put that in perspective, the average empty backpack without a tent, sleeping bag and other necessities weighs roughly a third of that. So how does a retired engineer from Boulder hike 500 miles carrying a fraction of the weight most of us would use on an overnight trip? He built it himself. 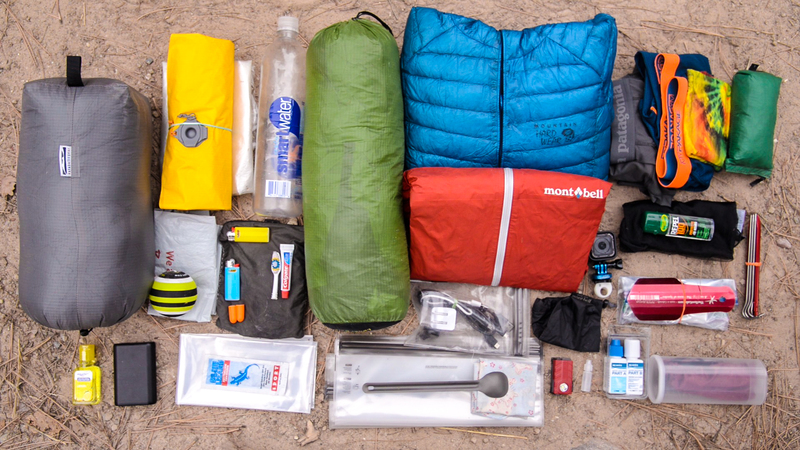 Before hiking the Colorado Trail in 2017, Vogt designed and modified the majority of his own equipment, including a tent, backpack and a down quilt that served as his sleeping bag. His featherweight backpacking kit is Space Age glamour meets intense minimalism. With no frame or suspension system, the backpack is long and tubular with a roll-top enclosure and a mesh pocket on the outside. And like many extreme ultralight backpacks, the hip-belt and shoulder straps are narrow, with minimal padding. Vogt sourced camouflage Cuban fiber, often called dyneema, from the ultralight backpacking manufacturer of Zpacks for both his pack and tent. 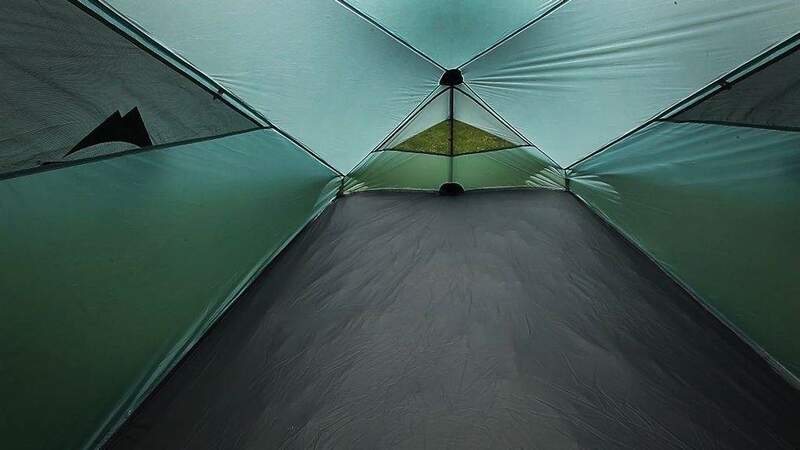 Using his trekking poles in place of standard tent poles, Vogt’s tent is built like an A-Frame with a mesh opening at the front. To save weight, Vogt developed a design that allowed him to use as few as four tent stakes. News travels fast on the Colorado Trail, and eventually he met up with some fellow hikers on the trail who called him out. That was the first time he was called Five Pound Pete. “That’s how I learned my trail name,” he said. Much of his design process is about problem solving. How can he make something lighter, less expensive and easier? He designed his first piece of gear in 1981 when he sewed two sleeping bags together – a lightweight and a heavyweight – for him and his wife. They would flip it over depending on the temperature at night. Thirty-plus years later, Vogt incorporated a similar design for his ultralight down quilt, a translucent white V-shaped coverlet with patchwork baffles. He even devised his own mess-proof method of filling the baffles with notoriously unmanageable down. Though it only took Vogt six months to design and construct his custom gear for the Colorado Trail, the equipment has been a lifetime in the making. He has built three tents and backpacks, and plans to develop another iteration soon. himself as more of an inventor. His imagination not only allows him to design new outdoor gear, but to modify existing consumer products as well. Vogt is generous with his ultralight knowledge, readily sharing tricks of the trade from design and modification ideas to lightweight products. He keeps an ongoing list of new products that help lighten his load and make ultralighting as luxurious as possible. Vogt will also lead a clinic at Colorado Trail Days in Durango, a three-day celebration of the outdoors featuring free clinics on backpacking and wilderness skills as well as gear demonstrations and prizes. There, attendees can see Five Pound Pete’s custom gear in person and learn how to lighten up. For more information about Colorado Trail Days, visit www.CTDays.com.